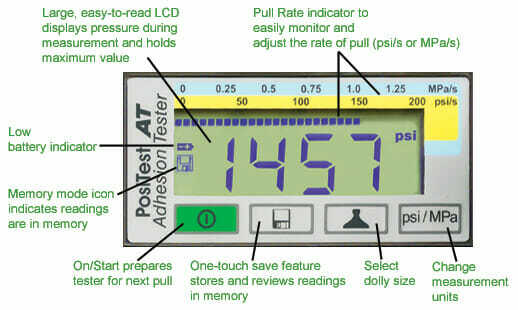 The PosiTest AT-A Manual Adhesion Tester by DeFelsko Measures the force required to pull a specified test diameter of coating away from its substrate using hydraulic pressure. 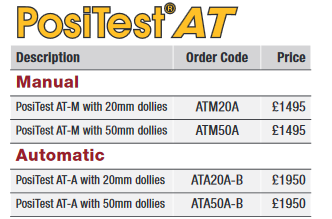 * Optional 20mm/50mm/50 mm C1583/50 mm Tile Conversion Kits allow each model to be used with alternative dolly sizes. Custom 10 and 14 mm dollies are available for special applications (compatible with 20 mm stand off). 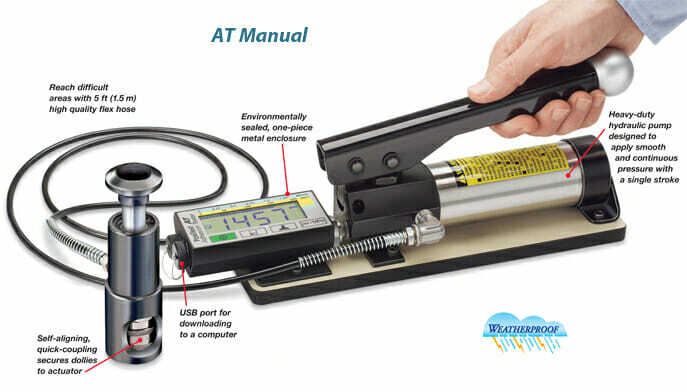 With an environmentally sealed, metal enclosure, heavy duty hydraulic pump and a hi-grade industrial pressure sensor, both the Manual and Automatic PosiTest AT are built to last and can be used indoors and outdoors in all types of weather. 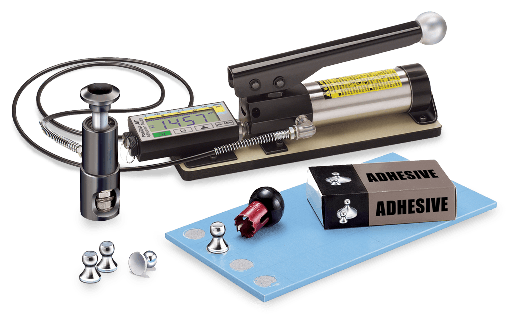 All the useful accessories to accompany your PosiTest Adhesion Tester can be found here.